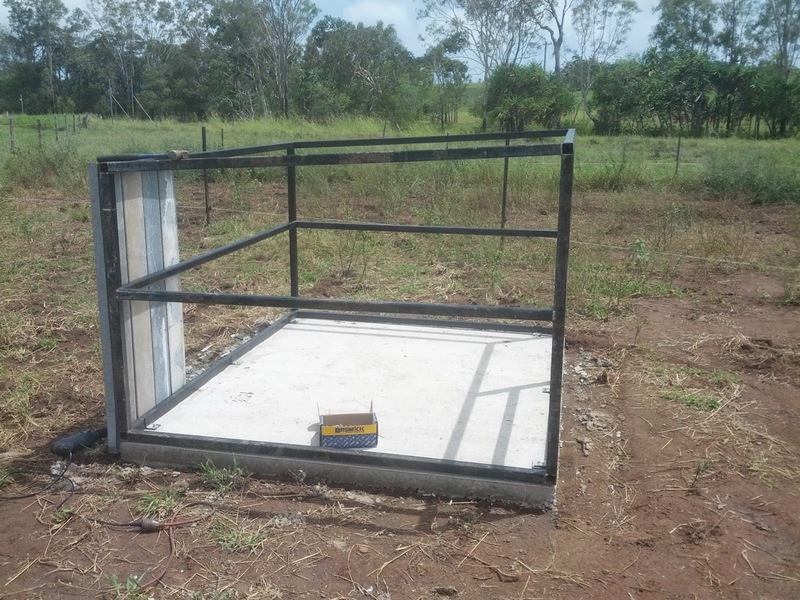 Part of our wet season preparations was to construct a second permanent shelter for the pigs. 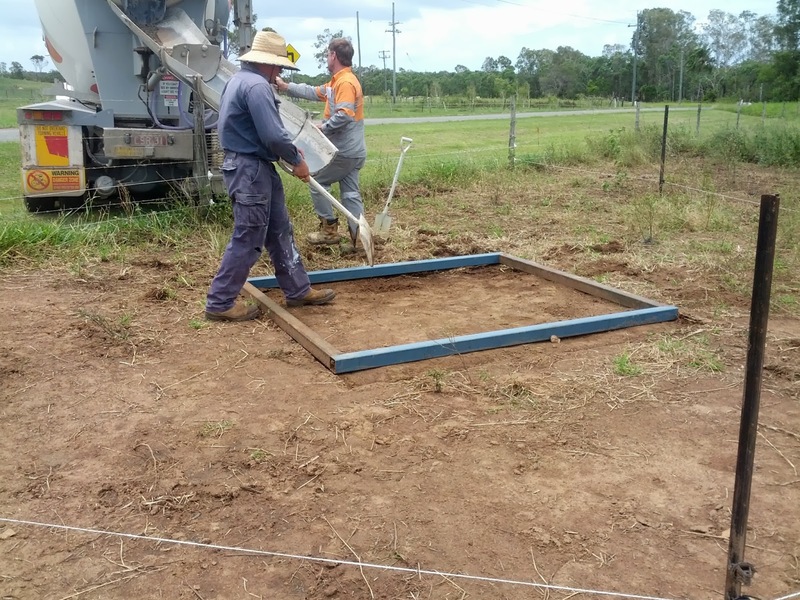 They have always had access to a second shelter, however the smaller one was only temporary; which is great for moving around the paddock when the weather is good and we want to let a section fallow. Or when we have piglets on the way and we want to provide a shelter for the bore, whilst we accommodate the sow in the big shed. But not so great when the wets kick in and they have little room to escape the driving rain. 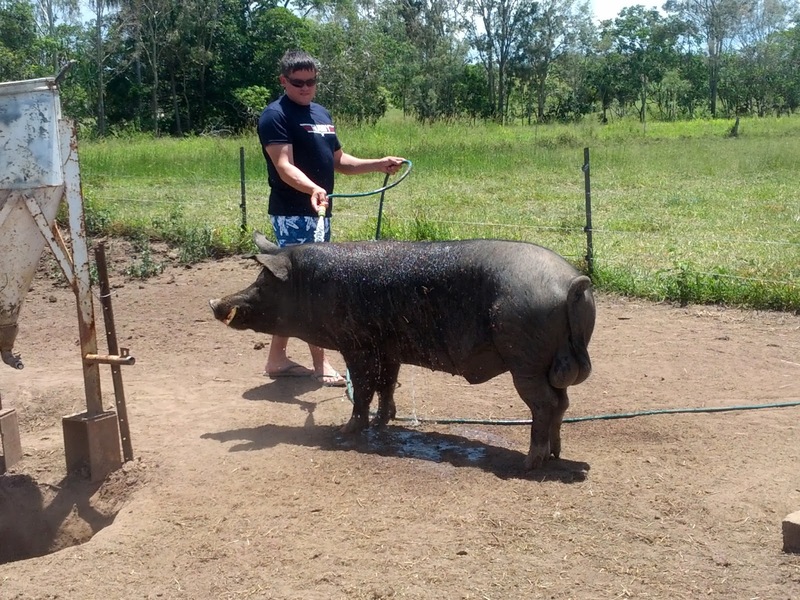 Especially given our big bore almost fills their current shed on his own! So we took a few lessons from our previous effort- which was a purchased garden shed anchor bolted to a concrete slab. 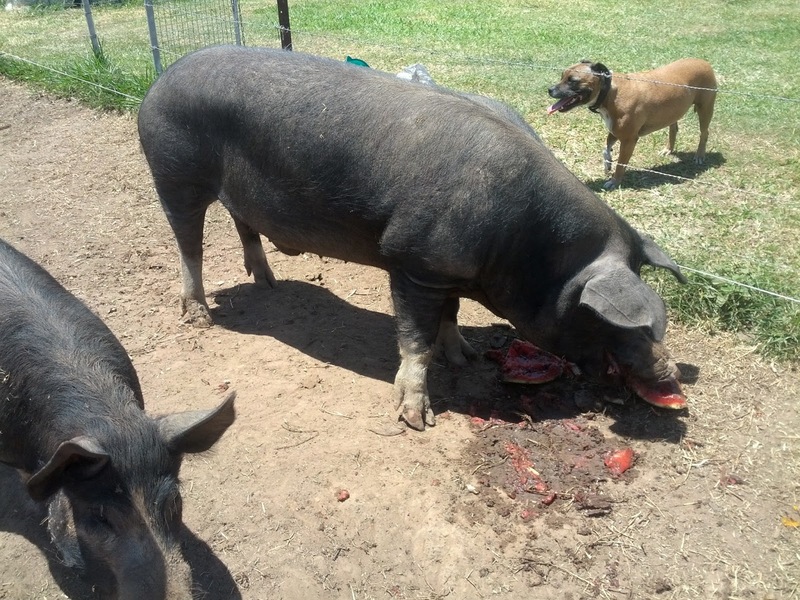 The first of which being that pigs are very intelligent and naturally inquisitive (which we already knew), but this does also lead to the fact that they are natural vandals! So we quickly had to trim the sheds down in height, due to unrepairable damage and reinforce the body to prevent further destruction. So this shelter was being constructed from a steel frame and recycled clip lock roof panels. We also found that over time moisture found its way into the main shed, with no means of escape. So it can become damp, that and the central and large opening allows for driving rain to get straight in (if the wind is blowing in the right direction). So we have made our second shelter lower and wider, as they do not require the height but do need the ground space. 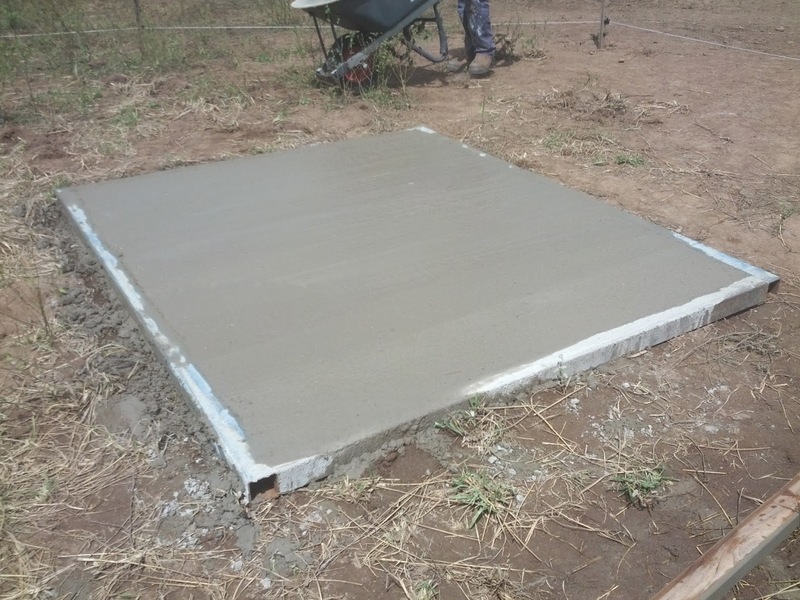 And constructed the slab and frame to the same size, so that the panes slightly over hang the concrete, therefore any moisture that does make its way in, can drain out. So far they seem quite taken with their new shelter, as all four have been spending much of the day in there!